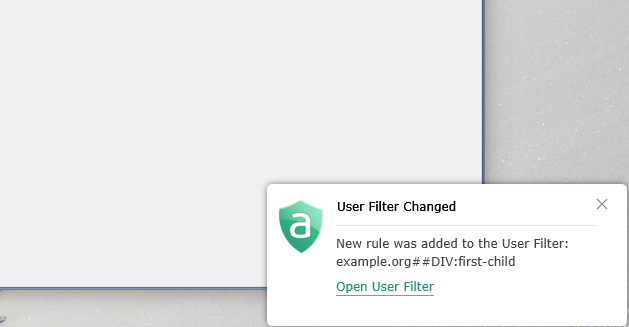 We would like to focus on the changes connected with the API protection of Adguard Assistant and other extensions. In previous Adguard versions, API was not protected at all, which was a very serious drawback. For example, an author of a website, knowing how the API works, could sneakily add a rule to your user filter, which would unblock ads on his site. We apologize for not having thought of the possibility of such problems before. It is a pity that we learn from our own mistakes and not from others, as we should. If you want to completely disable the API of extensions, turn them off in Adguard settings. In this case, instead of Adguard assistant you can always use integration mode of extension. Important: We strongly recommend that all Adguard users upgrade to the latest version. And special thanks to Wladimir Palant, author of Adblock Plus. When he found this vulnerability in the API of our extensions, he immediately alerted us about the matter. Dear friends, we have prepared several nice improvements of our extension.